Services We Provide | VFG | Vision Financial Group, Inc. Vision Financial Group, Inc. (VFG) is your complete one-stop-source for the large majority of your equipment lease financing needs. We provide funding for a wide range of equipment acquisitions. Our capabilities include funding large multimillion dollar transactions as well as funding smaller equipment acquisitions for your convenience and ease of procurement. 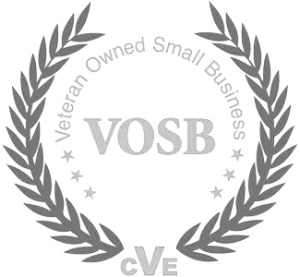 VFG is a privately held, independent, and certified Veteran Owned Small Business (VOSB). VFG is a full service general equipment leasing & financing company which was founded in Pittsburgh, PA on January 9, 1991. We provide our business partners with highly customized financial solutions to help meet their economic objectives. Our customer base includes large publicly traded multinational organizations as well as smaller privately held enterprises. 8 out of 10 businesses, including most of the Fortune 500® companies, utilize lease financing as a procurement tool that conserves cash and preserves working capital. Leasing offers 100% financing and often requires nothing down. Lease payment plans offer flexibility and may be structured to match seasonal or fluctuating cash flows. For almost three decades, VFG has proven that it has the strength and expertise to deliver the funding that organizations want and need. We will consider providing lease financing for most types of equipment and software across a broad spectrum of industries. We desire to exceed your expectations by providing responsive performance that is second to none. Since we are privately held and independent, we aren’t subject to the same onerous “red-tape” regulations that banks and non-private organizations are often faced with. Further, we aren’t governed by faceless committees that may be rigid, inflexible and are prone to deliberate for weeks on end before making what should be quick common-sense business decisions. Let us work for you. Our representatives are experts at structuring lease financing solutions that are creative, timely, and designed to meet your budget, cash flow, tax and accounting parameters. Please make us aware of your objectives and any challenges that your organization might be faced with.